1 x Round Cutter. 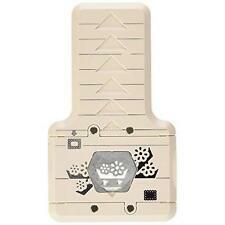 This gadget is used for plastic parts, paper cards, photo pruning. The bottom of the lid can be opened, very convenient to clean wastepaper. There is a small hole at the top, you can freely hanging in the place you want to hang, easy to use. 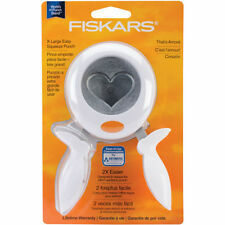 This gadget is used for plastic parts, paper cards, photo pruning. The bottom of the lid can be opened, very convenient to clean wastepaper. in the place you want to hang, easy to use. There is a small hole at the top, you can freely hanging. Use it with your thumb. The bottom of the lid can be opened, very convenient to clean waste paper. Using this tool, you can put the photos of 4 right angle turns Round corner, increase the aesthetic. 1 X Round Corner Cutter. 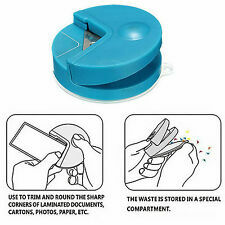 The bottom of the lid can be opened, veru convenient to clean waste paper.Use it with your thumb. Using this tool, you can put the photos of 4 right angle turns Round corner,increase the aesthetic. Using this tool, you can put the photos of 4 right angle turns Round corner,increase the aesthetic. 1 X Round cutter. The bottom of the lid can be opened, veru convenient to clean waste paper. The actual color may be a little difference from the picture. Size: 8.2 7.7 5.6cm. 3mm in size. Hole size:3mm. Our goal is to make sure that you can find exactly what you are looking for and make it easy for you to place your orders. 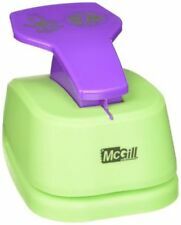 Type:Hole Puncher. 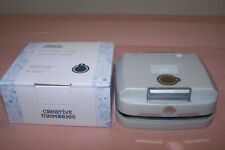 1 x Hole Puncher(Other accessories are not included!). Manual hole punchers. Plastic bag handle, easy to take hold, do not worry about scratching. Material:Stainless steel. Paper Depth:26mm. The Surface is treated with electroplating, bright appearance, not easy to rust, wear-resistant and smooth perforation. Punch Size: Approx. 5.12x0.79"/130x20mm. 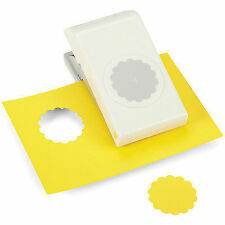 1Pcs Paper Punch. Material: Nickel Plating. Safty paper card craft for using. Beautiful and cute pattern. Match the different patterns will show you different style. We will do our best to solve your problem. 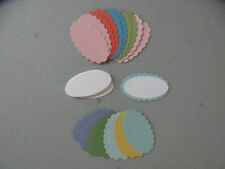 1 x Rainbow Scratch Sheets. With the different coatings and backings, kids can explore a variety of effects with their scratch art as they remove the coatings to create their drawing. Black coating is scratched away with the included wooden tool to reveal rainbow or glittery silver backing. 1 Puncher. Adjustable spacing to suit with A4/ A5/ A6/ B7 paper for punching operation. Number of Punching Sheets: 6 Sheets / 80gsm. Hole Pitch: Adjustable. Quantity of Hole: 6. Item Size: 19.8 6.7 3.9cm / 7.8 2.6 1.5in. In as little as 1, 2, 3, you can easily create custom 50mm (2") wide tabs in any colour and with any patterned paper. Simply punch out tabs from desired paper and line them up and adhere in position. This package contains one tab punch and six white tab stickers. Bread Board & Accessories. Aviation Plug. Switch & Button. Laser Head Module. SD Card Module. Plug Connector. 2.5mm 3.5mm 6.35mm Plug. The actual color may be a little difference from the picture.